Tosashimizu is a really rural area in Kochi. There is little but the beautiful ocean and the tiny ports. Sea birds circle gracefully. In such a place, there is a little museum. The museum has a large parking area, however, almost no cars are there. But this museum is actually really wonderful and interesting. If people go inside and walk around, they will engrossed to see exhibitions. 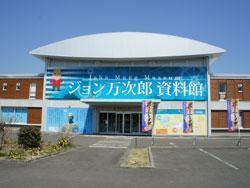 What is inside of the museum is Nakahama Manjiro’s history. 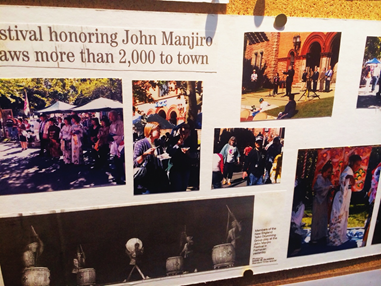 Nakahama Manjiro, who is known as “John Mung”, was one of Japan’s first cosmopolitans. His life was stormy and full of drama. On January 27th in 1872, Nakahama Manjiro was born in Tosa Koku Nakahama village in Kochi prefecture, which is located in Tosashimizu in Kochi now. His parents were working as farmers and fishermen, and were really poor. Of course, his parents could not afford for Manjiro to go to school. When he was 8 years old, his father died. So Manjiro had to start working for his family. He worked for his family very hard, but also he was said to be a naughty boy. One day, he was playing with a stone mortar. People use stone mortars for rice. However, he put gravel in the stone mortar. Somebody found it and decided to punish him. The person made him go fishing with 5 people who were older than him as a punishment. Several days later, he actually went fishing with them. Unfortunately, a storm came and Manjiro and the others were wrecked by the storm. They drifted for half and 5 days until they reached Torishima in the Izu island chain. They stayed there for 143 days, eating turtles and plants and such. They got very skinny and sunburnt. Of course their clothes were ripped out and ragged. They looked unhealthy but could survive somehow. He is said the first Japanese overseas student who went to America. Whitfield let Manjiro go to elementary school which was called Oxford school. When Manjiro became 17, He entered in Barlet Academy. He took English, math, survey, navigation and navigation engineering. He studied really hard and became a top of classes. It is hard to imaging but about 170 years ago, a poor boy who had never studied and also could not write his own language was in a foreign country and incredibly got the top seat at the school. He learned a lot of things outside of school, too. He learned American culture, which was totally different from Japanese culture. One of the cultural differences was democracy. In America, all white men had rights to vote for president. That was still not really fair, but in Japan nobody had rights to vote for anything. Also, he saw women had more freedom in America. American society was much more egalitarian than Japan in Edo period. He could learn a lot of up-to-date things. On the other hand, He got a sad experience. He had been discriminated. Whitfield was Christian. So every Sunday, he was going to Church. He took Manjiro, too. The church had two types of seats, one was for white people and the other was for “colored people”. Of course, Manjiro was told to sit the chair for colored people by a priest. Whitfield was so mad and told the prist, “Manijiro is my son! Why he have to sit there! Let him sit same seat as me!” However, the priest did not accept it. So Whitfield did not pray in the Church but looked for a church where people did not discriminate. Finally, He could find a church and kept going there with Manjiro. Manjiro must be hurt by racial discrimination, but also he felt Whitfield’s love and was impressed by that. 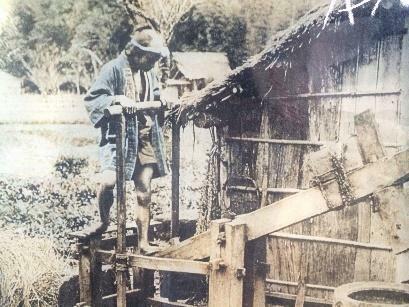 In 1850, He decided to go back to Japan and went earn money to go hometown. During the period, in California, there were gold rush. People went there and looked for gold. Manjiro joined it and get $600. At that time, $600, a fortune at the time. He went to Hawaii and picked up his old shipmates and returned to Japan. In 1851, they arrived at Ryukyu in Japan. Ryukyu was Okinawa. Okinawa was used to be called Ryukyu. At the time, Japan had closed country, so Manjiro and the others were investigated 18 times by Satsuma Domain. Satsuma Domain controlled Kyusyu and Ryukyu. So they investigated Manjiro and the others to made sure whether they were good or bad people. They were not punished. However their life were kind of limited, except Manjiro. For example, they could not go out of their hometown. But Manjiro learned and knew a lot of things which Japan still did not knew. Japan wanted to know about what is America and new things. That is why, only Manjiro’s life was not limited. He lived freely and could contributed Japan. When Japan negotiated with America to open its borders, Manjiro flourished as an interpreter and an English teacher. He taught things he learned in America to Japanese people. Without such people as Manjiro, Japan might be still outdated right now. It was fortunate that he left Japan at the period. He is one of the people who changed Japan. In Tosashimizu, people still have a relationship with Massachusetts people. They are doing international exchanges. 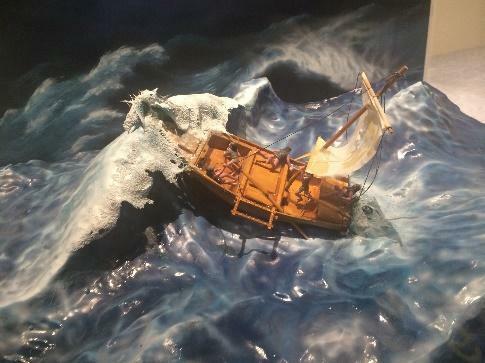 Due to a boy breaking a rule about 170 years ago, Kochi and Massachusetts are connected now. Manjiro did not contribute only Edo period, but also present-day. I didn’t know much about Manjiro, so I was amazed by his story. Kochi should use Manjiro to advertise Kochi prefecture more! It’s an important museum that is often overlooked. It’s great little town, too. I hope everyone will visit and see for themselves. A little slice of heaven on earth.